Posted May 5th, 2018 by alexa & filed under Families. 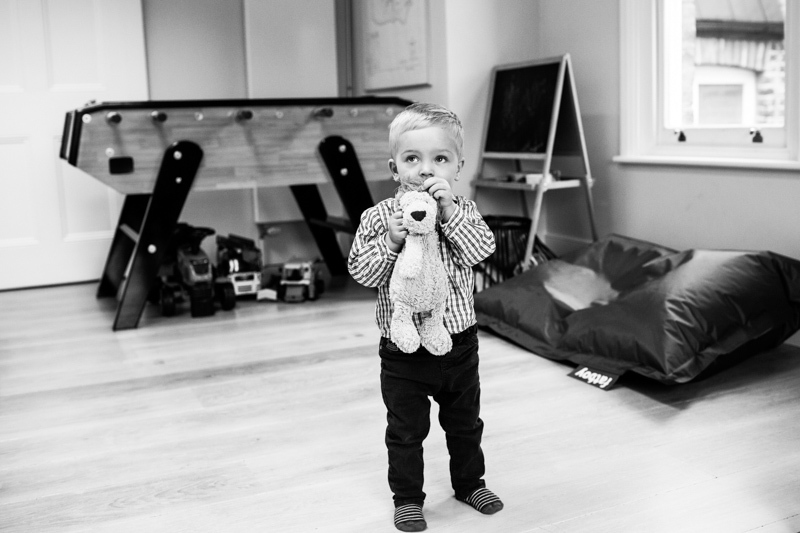 I love my work as a London family portrait photographer. I get to meet lots of new families all the time and also revisit families I’ve photographed before. It’s so rewarding when the children are old enough to remember me from their previous photography session. They always seem to get excited about their next photo shoot. 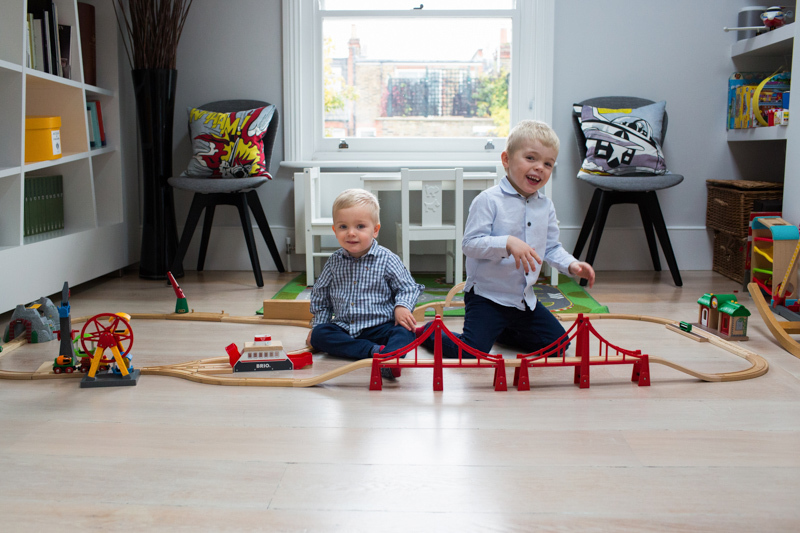 This was the case with this lovely London family. I’ve photographed them several times now, starting when the eldest boy was a baby. 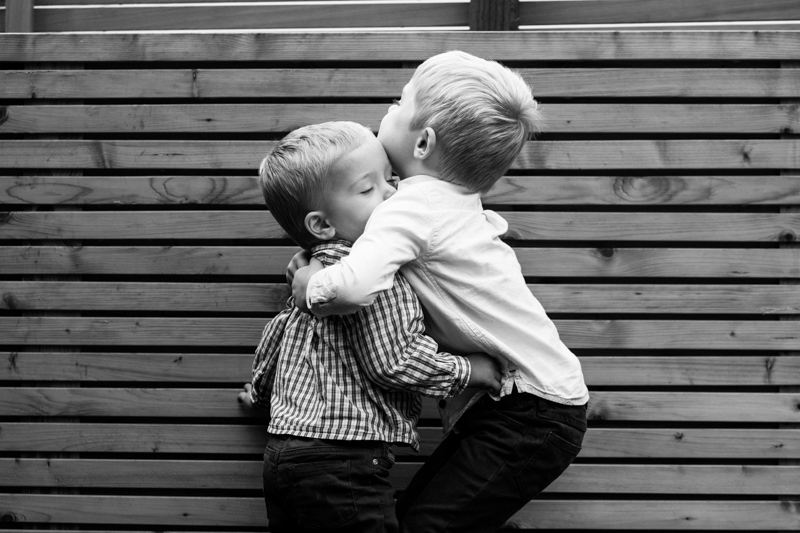 He now has a younger brother and the two of them are fantastic together. They are such a fun double act! I usually photograph the family every year in the Autumn. This gives them time to have their favourite family portrait of the session made into Christmas Cards to send out to family and friends. It’s such a great idea and I really look forward to creating a special image for them. The family booked a one-hour session. This was plenty of time to get some natural portraits of the whole family together. It also gave us time to capture some more candid shots of the two boys playing together. The weather was a bit drizzly on the day of the photography session, so we decided to take the portraits inside the family home. I love doing this, as in years to come the children will be able to look back and be reminded of the family home they grew up in. This becomes especially meaningful if the family have since moved house. I’m always happy to photograph a cuddly toy or two! 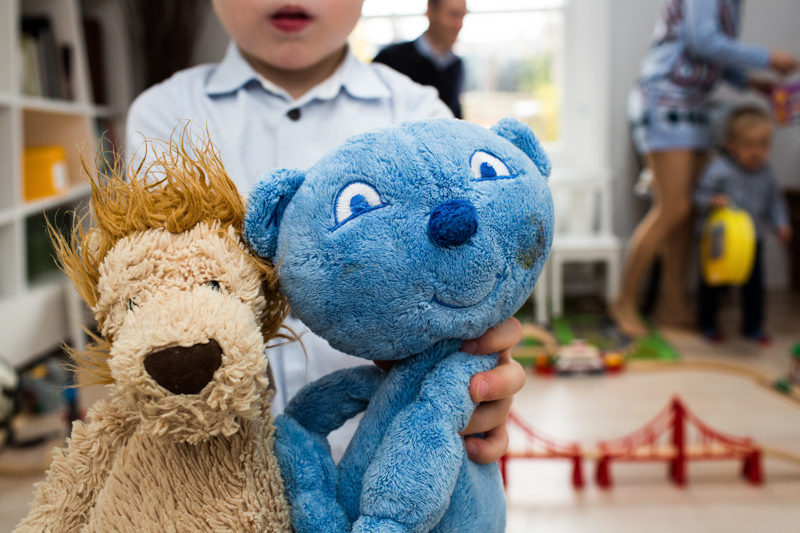 Half way through the session it made me smile when the older brother asked me to photograph his two favourite toys. I was of course happy to oblige. I know with my two children how important cuddly toys are. They certainly deserve their own place in the family photo album. We did manage to get out into the garden for some of photos, which added to the variety of shots we got that day. 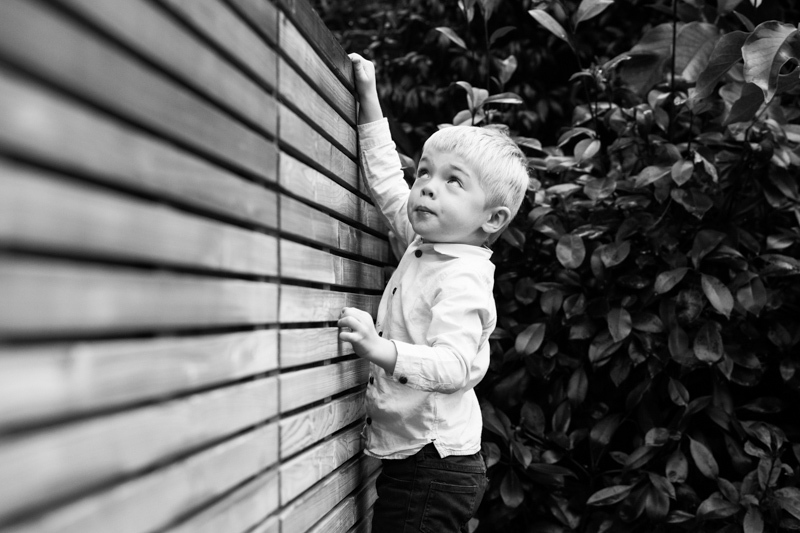 One of my favourites from our family portrait photography session is the one of the eldest boy looking as if he’s contemplating climbing up the fence. I hope he wasn’t trying to escape from the camera! 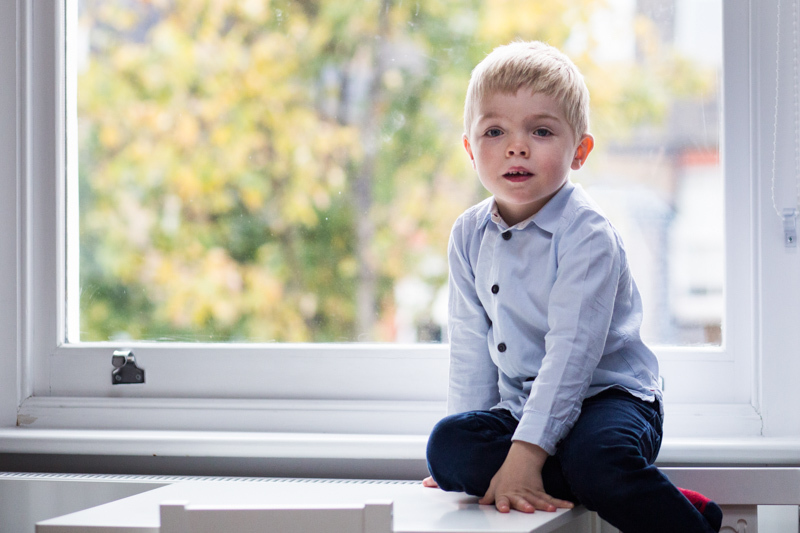 If you’re interested in having some relaxed family portraits taken to use for Christmas cards and gifts please do get in touch on hello@alexakidd-may.com or 07813 816335.